Design Consultation: What Is It? Are you thinking about remodeling your landscaping? Looking past all the weeds, brush, and uneven terrain might be difficult. That is where a landscape design expert can come in and help. Before you break ground, you need a plan. 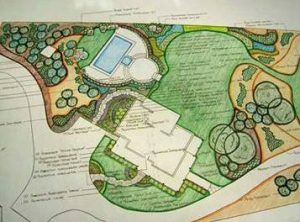 Here is what you can expect from a design consultation and a few tips on how to get the most out of your meeting with the landscape designer. Prior to calling a landscaping professional, do some research on the company. Look at their past work and see if their style is something that you like. If you like any designs you see, save them somewhere to show the designer later. Look around online for designs or elements that you enjoy and you would want to incorporate into your design. Having these items prepared can help produce a final product you love. A design consultation is a relatively short meeting in which you meet with a professional landscape designer to discuss a tentative plan for your property. The designer will look at the area to be designed and make suggestions on how to improve your landscaping. They will likely create some sketches either on site or back at the office to show you their vision. They will also provide you with a quote on how much the design will cost. If you have any questions about your design, the cost, labor, or anything related to your design, make sure to ask before signing a contract. If you like the design they have produced, you can put things into action by signing a client agreement and setting a time to begin your landscape transformation. If you would like a design consultation for your yard, contact the experts at Blooms Landcare. Call (817) 688-5352 for more information regarding our services.